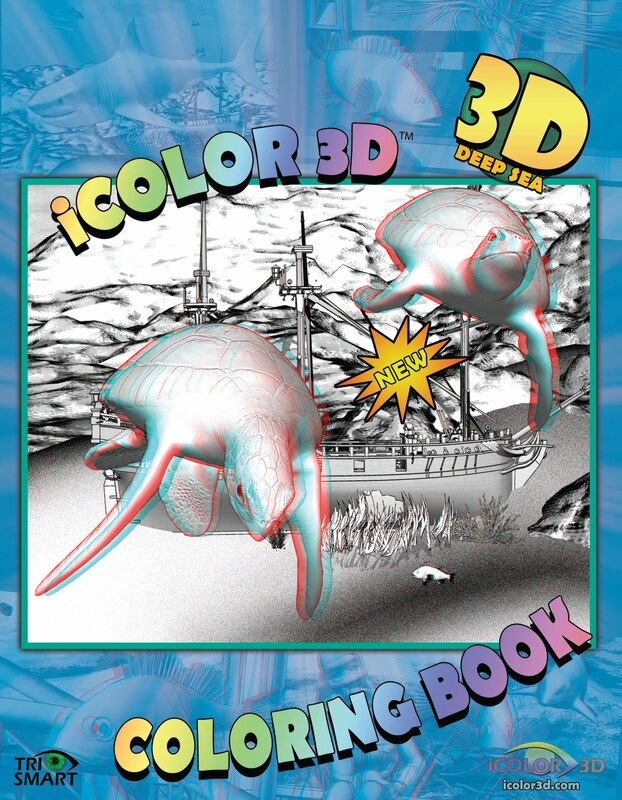 3D Deep Sea Coloring Art Book. Incredible 3D images of ocean life that explode off the page! iColor3D has revolutionized the way we color! Use the supplied pair of 3D glasses to witness for yourself what everyone is saying about these truly innovative coloring books. 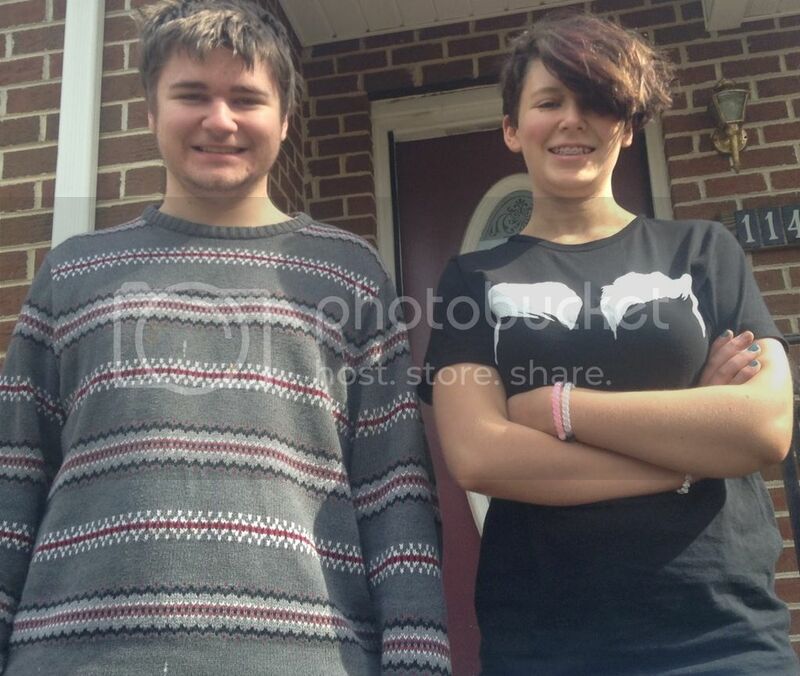 Most reactions upon seeing these images include, COOL!, AWESOME!, or WOW! When I received the iColor3D Deep Sea Coloring and Art Book, I was a little skeptical at first - if I would really see it in 3-D. But when I tried on the 3D glasses I was so surprised! The images in the coloring book really do pop out at you and show up in 3D. It is so cool! As soon as my daughter realized, what had come in the mail, she wanted to look at the coloring book. She really likes it and is having fun with it. Some of the pictures are her favorites. Esp. one with a big fish that is coming out at you! I also like how this coloring book is great for children with Autism, ADD, ADHD and Down Syndrome . Watch this You Tube video to see what people at the Orange County Fair thought! 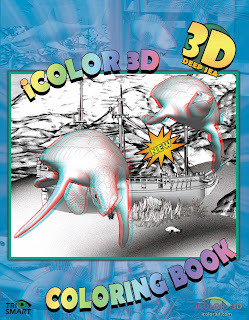 Buy It: Visit iColor3D to purchase for $5.99 - other books available too, such as Dinosaur Book. 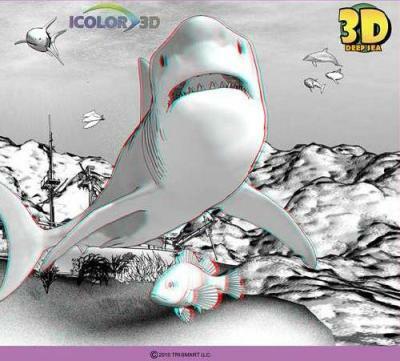 Win it: one lucky reader will win their own iColor3D Deep Sea Coloring and Art Book - 3D glasses included. Mandatory Entry: Tell me who this coloring book would be for if you win. RULES: Giveaway is open to US Residents only. Giveaway ends April 26, 2011 11:59 PM EST. Winner will be chosen via Random.org. Must have valid email in blog profile or leave email in comments otherwise you will be disqualified. Winner will have 48 hrs. to confirm by email, If no confirmation in that time frame a new winner will be chosen. This coloring book would be for my daughter if I won. This coloring book would be shared among my grandchildren and friend's children/grandchildren as they visit my house this summer. I would give it to my grandson if I won! I would give this to my friend's son, who loves nature. stopping by from comment hour. Love your blog. I will come back! This would be for my son ,who has autism, so I would love to see if he liked it. I like the tips on adding texture on the i Color3d blog. It would be for me and my daughter to enjoy working on together if I won. For my daughter - who may have to share with her little sister. Thanks! I would give this coloring book to my grandson. This would be for my friend's daughter, Claire. On the blog, I found an interesting post called "3D - A History Lesson from Stereographs to Coloring Books." It would be for my brother. This coloring book would be for one of my sons. My 6 year old daughter would LOVE this. She loves to color and 3D would really make her day! In 1920, the Great Train Robbery becomes the first 3D movie ever screened for a commercial audience in Los Angeles. Each book is packaged with a det of glasses bound into the book's colorful cover. A small sticky tab seals the book and protects the 3D glasses.